Free furniture wrapping/padding/assembly/dis-assembly (along with hourly services). 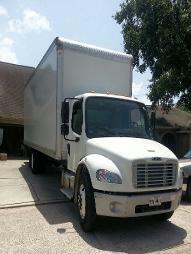 Welcome to Prestigious Movers, your one stop shop for all your local and long distance (out of state) moving needs. We cover and concentrate on all greater Houston areas such as: Downtown Houston, TX, Mid-town Houston, TX, The Heights Houston, TX, Spring, TX, The Woodlands, TX, Magnolia, TX, Tomball, TX, Kingwood, TX, Humble, TX and Conroe, TX to name a few (please see our local service areas page).Prestigious Movers is a full service moving company whose services include: packing, long distance (out-of-state) relocation, sale/delivery of moving boxes and moving supplies, commercial (office) relocation services, residential (high-rise-mid-rise) relocation, loading/unloading, hourly & flat rates and free estimates ! ! ! At Prestigious Movers we recognize and understand the complexity of relocating, so in order to alleviate the stress of this process we offer all your professional moving needs and cater to our customers concerns. We guarantee our service by placing unwavering emphasis on customer service, professionalism and excellent performance on every job. At Prestigious Movers we also place great emphasis on our work being performed without incident or hesitation (we are insured) and we believe in being honest and fair with our customers by offering reasonable pricing and always aiming to satisfy. To get your free estimate regarding our list of services and to experience an efficient, stress free move, please fill out our contact us form and we will gladly get back to you to schedule your next move ! ! ! Mon - Fri - 8:00 am - 9:00 pm. Sat - 8:00 am - 9:00 pm.